Varming Consulting Engineers were commissioned to design the mechanical and electrical services installations for a three storey purpose built, non acute hospital and hospice, located on a green field site at Ballinaspig More, Waterfall Road, in Cork. 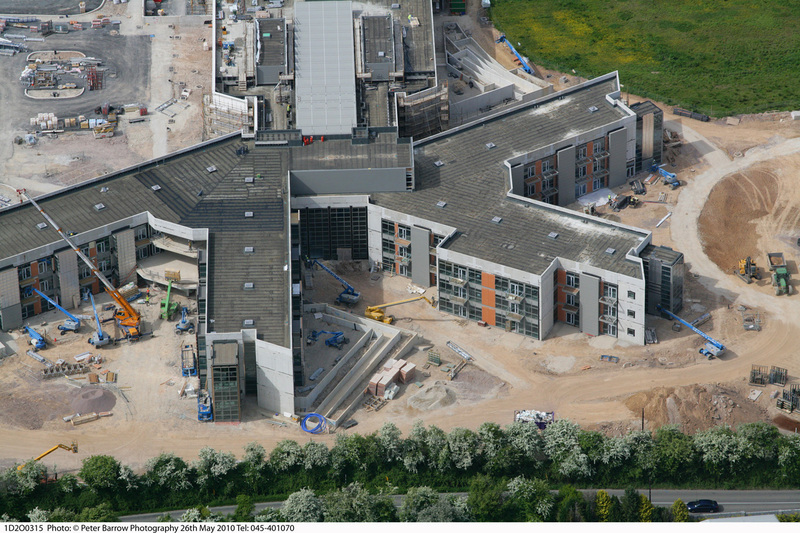 A major new 3-storey, non-acute hospital/hospice facility measuring 15,000m2 with associated roof top plant. The building will principally accommodate 75 hospital beds, 44 hospice beds, rehabilitation and therapy services, community based services, a pharmacy, education centre, family support, mortuary, general stores, laundry, waste management, chaplaincy, catering services and restaurant and general administration. Two separate single storey energy centre buildings are also included to provide the primary mechanical and electrical services. Sustainability is provided by the use of biomass boilers using wood pellets, a CHP plant and solar panels. Design and construction monitoring of mechanical and electrical services from concept to completion on site, including heating, ventilation, air conditioning, specific extract, hot & cold water, specialty gases distribution, vertical transportation, electrical power, lighting, communication and security services, fire and life safety services.